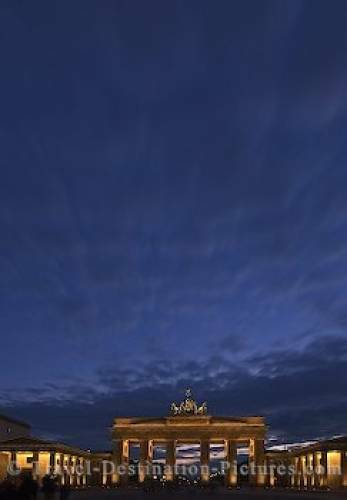 A dramatic sky above the Brandenburger Tor at blue hour in the city of Berlin, Germany, Europe. During the evening hour just before nightfall all the lights in Berlin are come on and light up the famous Brandenburger Tor and other landmarks in the city of Berlin, Germany. city of Berlin in Germany, Europe.